Southwest...The Little Quadrant That Could: Does the Southwest Waterfront Area Need a BID? 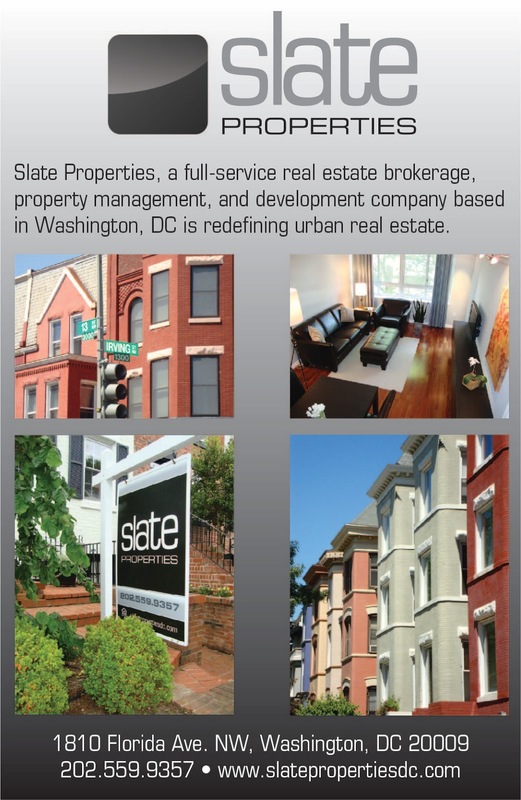 According to reSTORE DC, a business improvement district (BID) is organized and established by property and business owners to enhance the economic vitality of a downtown or neighborhood commercial area. The cost of BID services is financed by a self-imposed tax on the businesses within the community. There are currently eight BIDs in the District, but only one of them covers parts of Southwest. The Capitol Riverfront BID is one of the newest BIDs in the city and its borders include most of Near Southeast and Buzzard Point. 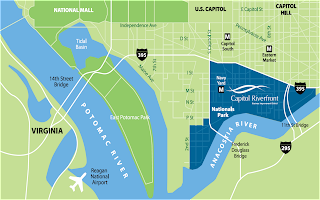 (See above map for the BID's borders, from the Capitol Riverfront BID website) I recently interviewed Michael Stevens, Executive Director of the Capitol Riverfront BID, to find out some more about what's going on in the area and whether the BID will expand to other areas of Southwest. See the interview below the photo. 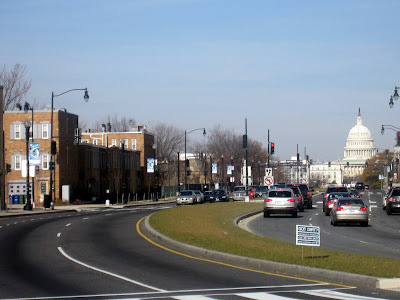 Here is a photo of the South Capitol Street corridor taken in December 2008, which is a part of the Capitol Riverfront BID. Southwest...TLQTC: How long has the Capitol Riverfront BID been in existence and how did the BID get started? Stevens: The Capitol Riverfront BID was approved by the District Council in July 2007 and by Executive Order of the Mayor on July 8, 2007. We have been officially in existence and issuing the BID tax for one year and six months. The BID began as a planning process with property owners and stakeholders that started in June 2006 after I approached area stakeholders about the possibility of and the need for creating a BID for this area. I was hired by property owners as a consultant to lead the planning process that involved numerous public meetings that focused on issues confronting the area, the proposed boundaries, the type of BID tax, the necessary budget, etc. I worked with property owners and other stakeholders over an 11 month period before submitting the full application to become a BID to the city in May 2007. Southwest...TLQTC: What kinds of services does the BID provide? Southwest...TLQTC: The Capitol Riverfront BID is competing with other emerging areas of the city, including NoMa and Mt. Vernon Triangle. What competitive advantage does the Capitol Riverfront BID have compared to these other emerging areas? 1) I think that the riverfront is a major competitive advantage. We have only about six areas in the entire region where you can develop a new community with access to the river, or where a riverfront community has been developed (Alexandria & Georgetown). People are drawn to the water and we will have marinas, a 5 acre riverfront park and be a part of the 16 mile Anacostia Riverfront Trail system. We consider the river our ”front porch” and our new parks the “living rooms” of our community. 2) Proximity to the U.S. Capitol Building and the House and Senate complexes, Capitol Hill itself, Reagan National Airport and downtown DC. 3) Regional accessibility from the I-395 and I-295 highway system, the 11th Street and Frederick Douglass Bridge, Metro’s Green Line (only 4 stops from Gallery Place & Chinatown), and from the Blue/Orange Lines at Capitol South. 4) Four new parks that will provide a sense of place and community for our residents, employees and visitors – Canal Park, the Riverfront park, Diamond Teague Park, and Tingey Square – as well as a segment of the 16 mile Anacostia Riverfront Trail system. 5) An established residential neighborhood with more units coming. We have almost 2,000 residential units completed and over 1,200 residents already. At build-out we will have over 9,100 units with a population of over 18,000 residents. 6) Nationals Park is a vibrant sports destination and attraction that attracted 2.3 million visitors last year. 7) A true mix of uses – at build-out we will be home to the following: 1) Over 15 million SF of office space (over 100,000 employees); 2) over 9,100 residential units (approximately 18,000 residents); 3) approximately 1 million SF of retail, restaurant and entertainment uses, including 2 new grocery stores; 4) at least 1,200 hotel rooms; and 5) 4 new parks and a segment of the Anacostia Riverwalk Trail system. 8) We are building a brand new city on the river that embraces our past through the renovation of several historic buildings, engages and celebrates the Anacostia River, provides a sense of place and community through the development of new parks, provides neighborhood and employee serving retail and restaurants, and provides a range of residential lifestyle options (apartments, condos, townhouses, etc.). Southwest...TLQTC: The BID’s current boundaries include Buzzard Point, which is in Southwest. What development plans are in store for Buzzard’s Point over the next 5 years? Stevens: If some office attraction efforts are successful, you may see the development of a secure office campus for a federal agency or two. Otherwise, with the current economic downturn, we may not see development activity in that area for another 5-7 years. Southwest...TLQTC: Speaking of Southwest…will the Capitol Riverfront BID eventually expand to include other areas of Southwest, including the Southwest Waterfront and Waterfront Station? Stevens: I have spoken to the Hoffman team about that possibility and I think it might be best for a new BID to be created that would address the area that includes Waterfront Station, Arena Stage, the SW Waterfront project, the Mandarin Oriental Hotel and perhaps some of the office in the SW Federal Center. It seems that that area will have a different development dynamic and destination qualities from our BID that would warrant the creation of a new BID. I agree with Michael Stevens and think that the Southwest Waterfront needs a BID. The Southwest Waterfront area is experiencing a lot of development activity and will look a lot different in five years than it does now. Forming a BID would do a lot to help market the area to attract office tenants and retailers, keep the neighborhood clean, and deter crime. What do you think?